A former Scottish health secretary has asked for an investigation into the deaths of two patients after having received a fungal infection related to pigeon excrement in a hospital. 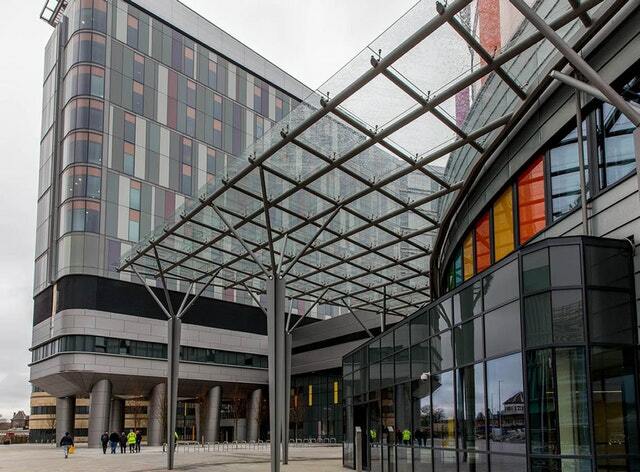 NHS Greater Glasgow and Clyde (NHSGCC) have launched their own research into the deaths at the Queen Elizabeth University Hospital in Glasgow. The Health Council said that they are still investigating the cause of a patient's death, but earlier said that the second affected, who was older, died of an unrelated matter. Alex Neil MSP's calls for an independent investigation are coming when it emerged that the infections were discovered in December, with filters that were brought in on January 10 to address the problem. He told BBC Scotland: "I think there should be an external investigation by experts to find out why this happened in the first place, secondly, how it was dealt with by the Health Council and thirdly what precautions must be taken for the future. .
"There are confusing messages from the Health Council, so they have to clarify the situation and do this urgently." The infection is caused by the inhalation of the fungus Cryptococcus, which mainly occurs in soil and pigeon feces. NHSGCC said that a probable source was found in a non-public space outside the departments and the feces were removed. The Health Council said that a small number of children and adults who are vulnerable to the infection receive medication and this has proved effective. The Health Council has installed portable HEPA filter units in specific areas that filter the air continuously. NHSGCC said that in the course of the investigation a separate issue arose with the kit in some shower rooms. Repairs are under way and the maintenance team is working to solve the problem as quickly as possible with minimal disruptions, it said. The Health Council added that, as a further precaution, a specific group of patients is moved within the hospital due to their clinical diagnosis and ongoing treatment. "The organism is harmless to the vast majority of people and rarely causes disease in humans."